The demonstration PMOLED display features a resolution of 256×64 and a brightness of 112 cd/m2. The display panel is 103.8×33.6 mm in size (active area 88.8×21.3) and the white color coordinate is CIE-x,y (0.31, 0.36). The current efficiency is 10 cd/A. Kyulux reports that the lifetime of the white OLED is 8,300 hours (LT50). 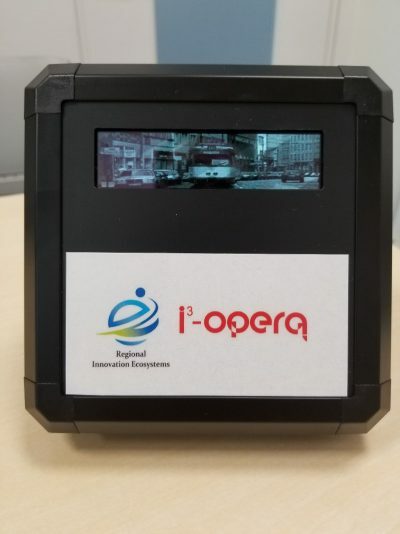 The Japanese Program for Building Regional Innovation Ecosystems of the Ministry of Education, Culture, Sports, Science and Technology (MEXT) supported i3-opera’s work on this project.